CHECK OUT THIS GAME CHANGER! THIS AMAZING inflatable backdrop has a black outer shell and white inside. The white inside is made to work with the crazy LED lights on the inside. Turn your basic photo booth rental into a crazy one with this inflatbale backdrop. Alll basic colors available for the inside of the unit. Take your event to the next level with a really cool LED upgrade. 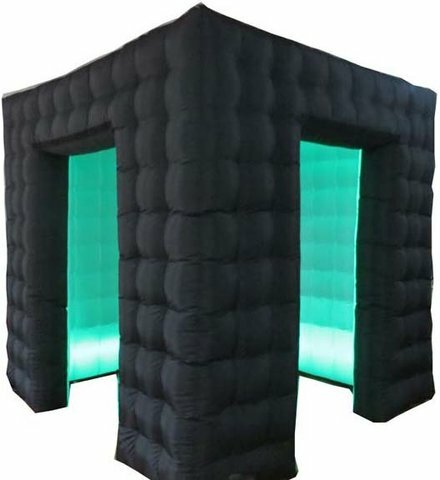 INFLATABLE BACKDROP WITH LED Lights! We can change the colors of the LED's to match your event!